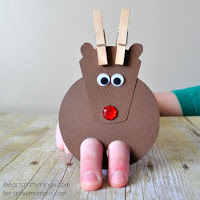 Christmas is less than four days away so it’s almost too late to share anymore fun Christmas crafts, but we finally got around to making a darling Santa craft so we just had to share! I mean, what is Christmas without at least one fun Santa craft, right?!! 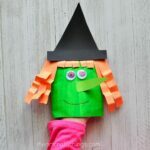 This Santa envelope puppet is so simple to make and the kids will have endless amounts of fun using it as a cute puppet. 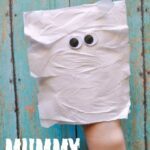 Kids can also use it to help reenact a favorite Christmas story or to help sing along to a favorite Christmas carol. 1. Start by gathering your supplies. Seal your #10 envelope and cut it in half. You will only be using one-half of the envelope for your puppet. Paint the front of your envelope with your peach paint and set it aside to dry completely. 2. 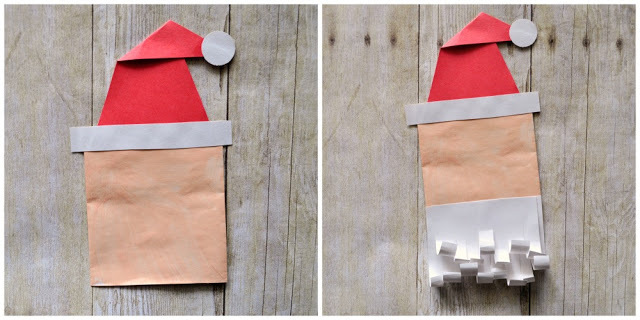 While your paint is drying, cut out the pieces you’ll need for your Santa from your red and white construction paper. (see the picture above) You’ll need a long triangle and about a 1-inch circle from your red construction paper. From your white construction paper you’ll need a 1-inch circle, a rectangle for the brim of the Santa hat and two half circles for the Santa mustache. You’ll also need to cut out two rectangles for your Santa beard. Make one smaller than the other, and cut slits across the bottom of the rectangles to make the Santa beard curly. 3. When your paint has dried, glue your red triangle at the top of your envelope (the open end of your envelope is the bottom). 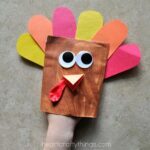 Fold the hat down and hold it in place with a little bit of glue. Glue your white circle at the end of the hat and your white rectangle on your envelope for the brim of the hat. 4. Glue your larger rectangle at the bottom of your envelope and your smaller rectangle on top of it. Use a pencil to make the ends of the beard curly by wrapping each paper slit around the pencil. 5. Glue on the mustache, red circle nose and your googly eyes. 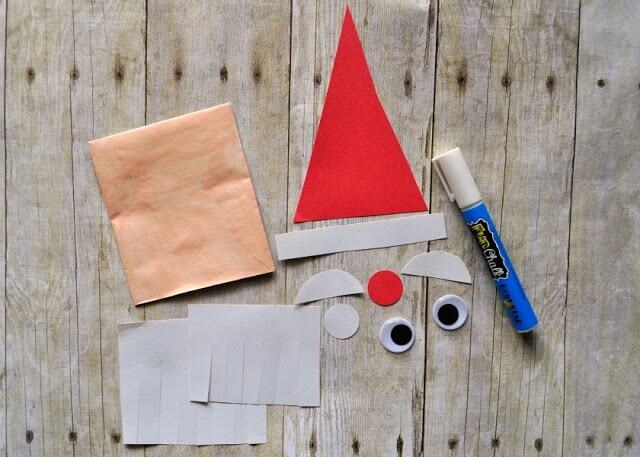 Then finish your Santa envelope puppet by using your white chalk marker to add some hair under the Santa hat. 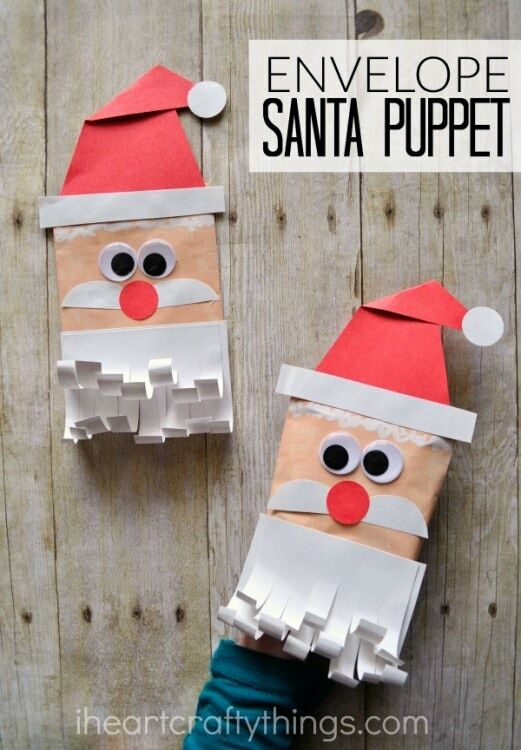 We didn’t think of it until later, but you could also add a cute smile onto your Santa puppet. He turned out pretty adorable don’t you think? 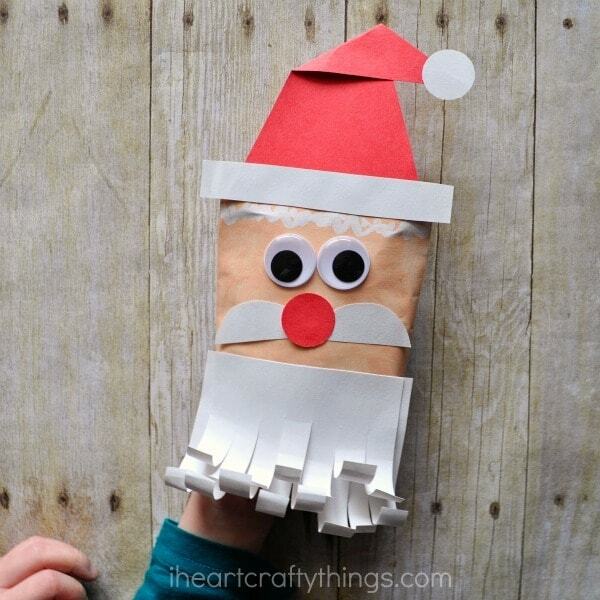 Now your Santa envelope puppet is all ready for play! 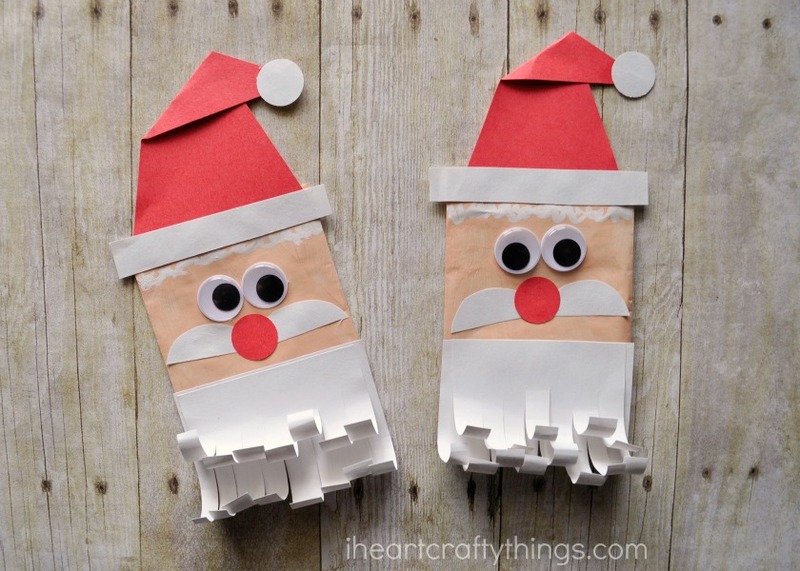 Simply have your preschooler put their hand inside the envelope and they can start playing with their cute Santa.